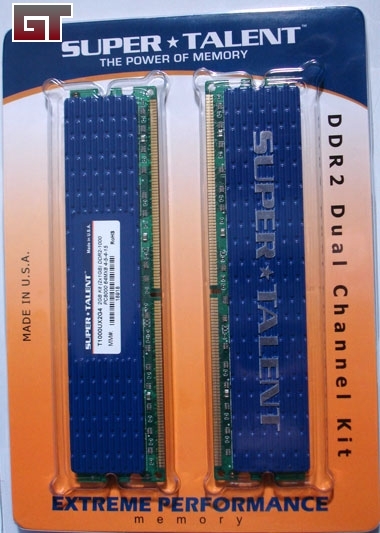 This week I was given a chance to look over a pair of Super Talent Technology Corporation's 2GB (2 x 1GB Dual Channel) DDR2 PC2 8000 T1000UX2G4 overclocked RAM for gamers. The timings for this set of memory is a tight 4-5-4-15 - compared to the common 5-5-5-15 variety. 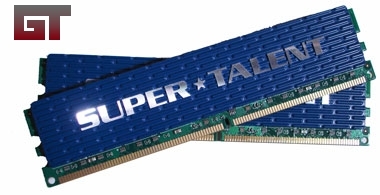 With 20 years under the belt, Super Talent stands behind their product. 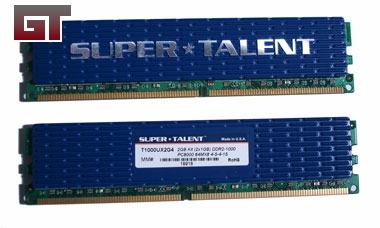 All ram modules are protected with a lifetime warranty. I'm going to be testing the ram and getting some of the scores based off the set speed and then running some overclocked benches. The package is a simple vacuum form of anti-static plastic and gives you the view of both sides of the modules. Now the ram heat spreaders are not attached with the clips, but more along the lines of thermal adhesive. 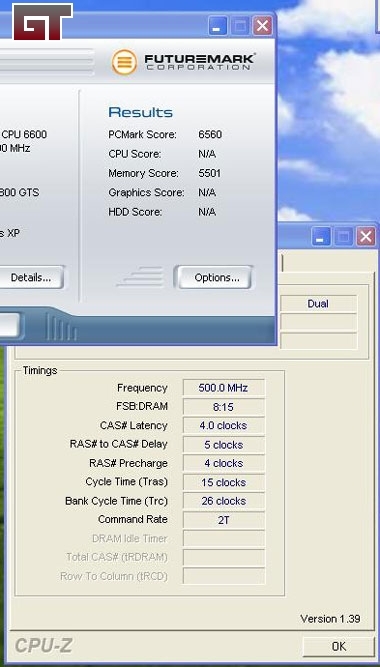 Basic tests will include running a suite of tests by Futuremark and Sandra Lite XI bandwidth test. 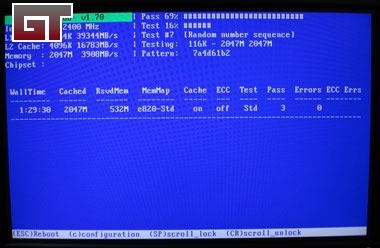 Stability testing was conducted for a few hours with Memtest86+ 1.70 on stock speeds before an OS was loaded. Next I moved over to the baseline testing at stock speed for everything I might need - Orthos 9+ hours, All of the Futuremark test we have (PCmark05, 3DMark06, 3Dmark05, 3dmark03) and Sisoftware Sandra Lite. 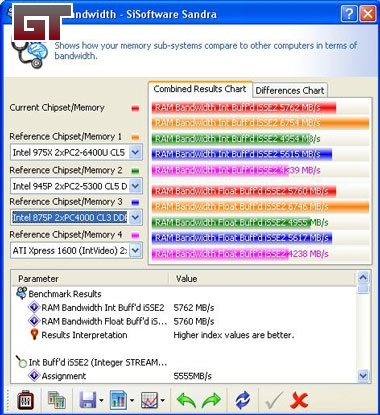 With the Memory set at its stock setting and processor stock as well, we are running at a 8:15 ratio for the memory.